Having served the region since 1999, Andaman Wave Master is one of the longest standing ferry operators in Thailand, providing year-round sailings and hotel transfers as standard, ensuring your trip runs as smoothly as possible. For the short excursions to Koh Phi Phi, passengers travel on Royal Jet Cruiser 9, the newest and one of the fastest vessels in the fleet. As for the other routes, Andaman Wave Master has a wide selection of modern and large ferries at their disposal, which can all carry hundreds of passengers to and from some of Thailand’s most popular tourist spots. Not only that, they are also an authorised resort sales agent, offering a choice of luxurious accommodation on Koh Phi Phi, where superb beaches, snorkelling spots and restaurants are found nearby. 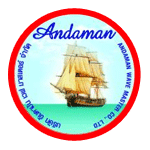 With directferries.com you can find Andaman Wave Master timetables, fares and book Andaman Wave Master ferry tickets. Where applicable we’ll also compare Andaman Wave Master with alternative ferry companies.